However this evening pans out, (July 11), it’s likely you’ll be feeling emotional. And very hungover. In order to pull yourself through the day, you’re going to need some serious tummy fuel. Perfect comfort food to help with the onslaught all-day tweeting, memes and heated discussion. And where better to start than good old McDonald’s? Those good old golden arches have been there for me through many of life’s shocks and delights, and tomorrow will be no different. Depending on preference, you can opt for a sausage, egg or bacon McMuffin. Although, come on, it should of course be bacon all the way. All you have to do is download the official McDonald’s app, register and sign up for special offers. Then – at some point tomorrow between 5am and 10.30am – head on over to the ‘Your Offers’ section to view the tasty offer. Chuck the offer in the back of your basket and stumble down to your local Maccy Ds to redeem. Then bring it right on home, much like football itself. Alternatively, you can access this offer through your Uber Eats app, which, if you’re excited by food-related articles, I imagine you’ll definitely have. For all those late-night, early-morning, last-minute moments and the times you can’t get to us, we now deliver to you from selected restaurants. McDelivery is rolling out on Uber Eats. The cutest old man just walked up to me gave me a egg McMuffin And then leaned over gave me a hug and said “you’ll be okay” and wiped my tears away, my day is made ?? As most of the nation gears up to watch England v Croatia tonight, we will be making tomorrow morning that bit better (regardless of the result!) by offering customers a free single McMuffin tomorrow morning (Thursday 12 July) following the match through McDelivery on UberEats and our Mobile App. This offer is for one free McMuffin per order for Thursday 12 July until 10:30am only. Only one can be used per customer, so try and make Gareth Southgate proud by playing fair on this one. All I want right now is a sausage egg mcmuffin. Football fans are understandably delighted that, regardless of how tonight may pan out, there’ll be a little sprinkle of joy in our breakfasts come tomorrow. 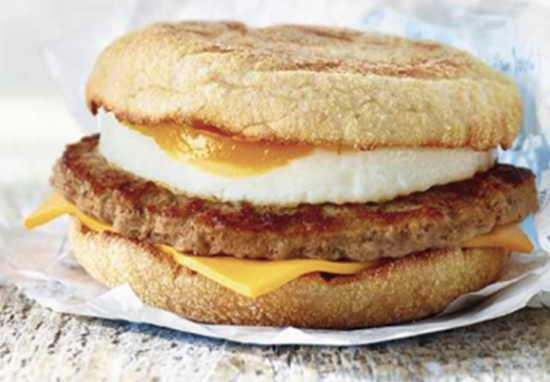 MCDONALDS ARE GIVING AWAY FREE MCMUFFINS TOMORROW MORNING – I like a good McMuffin. To make myself feel better or to soak up the celebratory beer, a Free McMuffin before work tomorrow! You absolute legends it’s my bday tomorrow and I’m off work, thanks ever so much haha. yo mcdonald’s just sent me an email about getting a free mcmuffin tomo morning no matter what the outcome is tonight ?? Cheers Ronald, what an absolute sport!